The periodic-drama film Raid has hit the theaters and it seems like an exciting and stimulating ride. 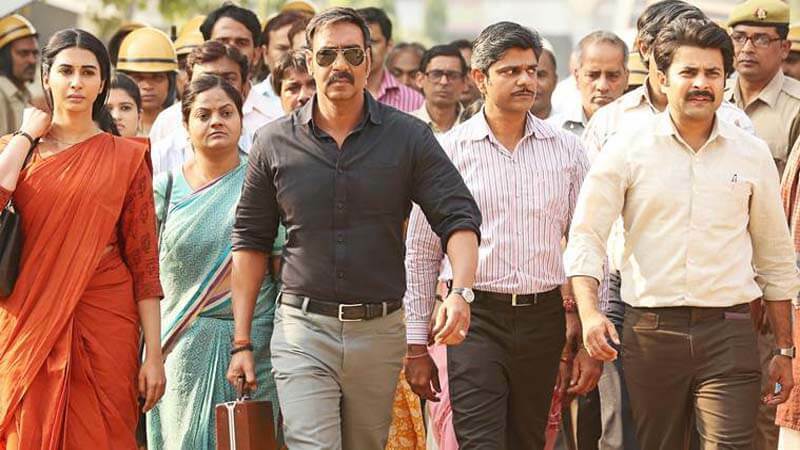 Raid movie is inspired by the real-life I-T raids that were conducted by Indian Revenue Services back in the ’80s and it featured Ajay Devgn and Ileana D’Cruz in the lead roles. If you have watched the trailer of the movie then you would have a slight idea of the story. Furthermore, the title of the movie also speaks for itself. 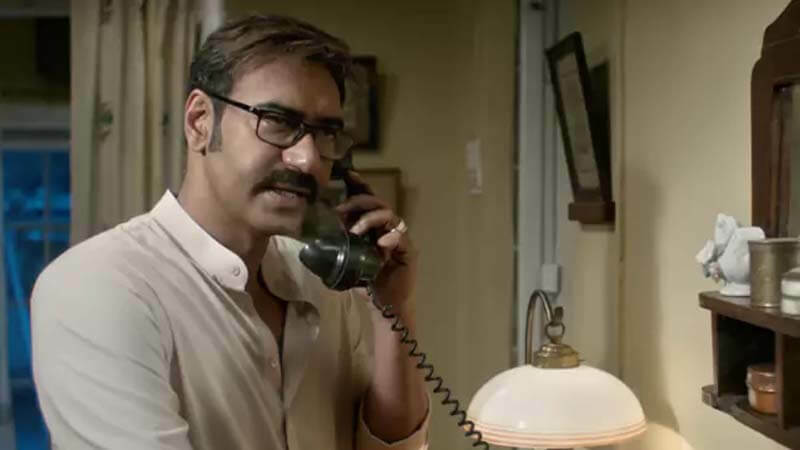 Ajay Devgn played the role of an income-tax officer, Amay Patnaik whose only aim is to raid the people who frauds with the taxes. This led him to a corrupt Politician named Rameshwar Singh (Saurabh Shukla). The corrupt politician had scammed Rs 420 crore from the Tax department. Amay goes full throttle in the pursuit of Rameshwar. Moreover, with each and every encounter between them, the intensity raised over the roof. It feels like a hot kettle which is about to get exploded. 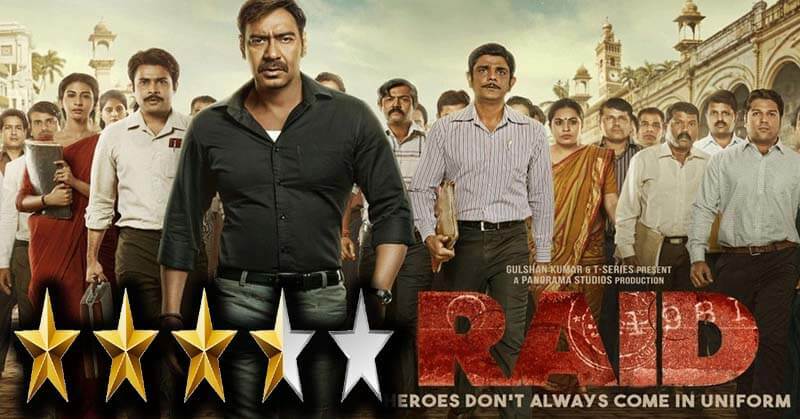 The principal shooting and photography of Raid have been done in Lucknow and Raebareli. The shooting had commenced in September 2017. The music of the film is composed by Amit Trivedi and Tanishk Bagchi while lyrics are penned by Manoj Muntashir and Indraneel. The soundtrack including 45 songs was released on 1 March 2018. 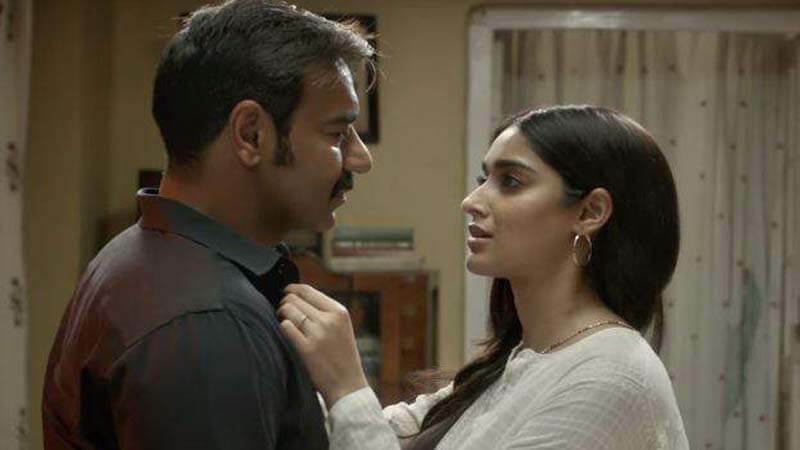 Ajay Devgn brought intensity to his role. He looked like a bold IT officer. On the other hand the antagonist, Saurabh Shukla looked like an evil politician who could do anything to save himself from Income Tax. Apart from these two, remember Saanand Verma (SaxenaJi From BhabiJi Ghar Pe Hain), Gayathri Iyer and Ileana D’Cruz balanced the intensity with slight romantic and comic touch. If you love to watch the periodic drama, then you should definitely watch this movie. We would like to give this movie 3.5/5 stars. Are you excited to watch this one? Share in the comments. If you have already watched it, share your reviews. Ajay Devgn is one of the star kids who has surpassed the stardom of his celebrity father. Check which other celebs are on the list.